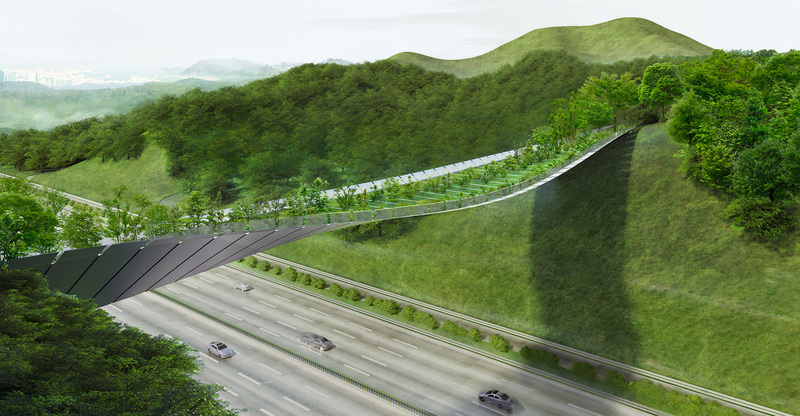 This stunning green bridge creates a natural connection between two mountain peaks near Seoul in Korea. Blending seamlessly into its surroundings, the bridge provides safe passage for wild animals and references the traditional Korean garden pavilion. 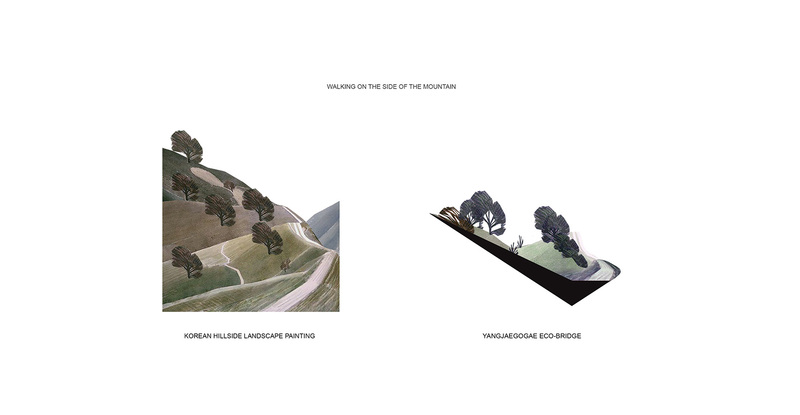 The sides of the undulating structure simulate an organic mountainside path, while the center provides a more linear experience for humans. 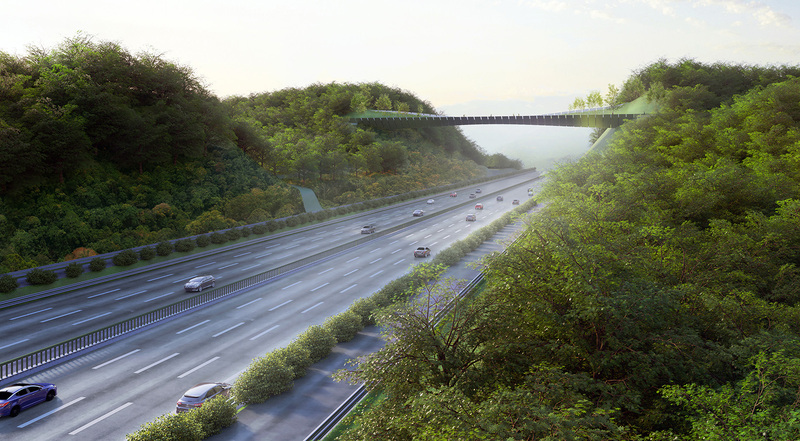 The bridge acts as an extension of two existing mountain slopes separated by a busy highway. 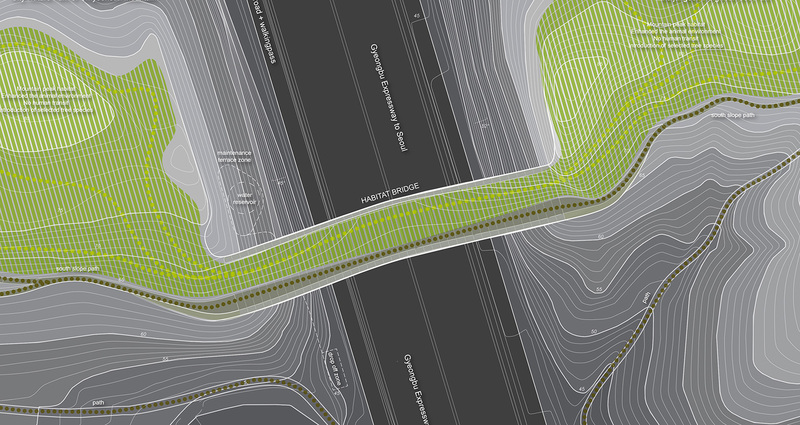 It is positioned at an optimal altitude in order to create a safe separation for traffic and wildlife. The architectural language of the structure reminds of the rhythmic nature of the traditional Korean garden pavilions which were used as a way of establishing a stronger connection with nature. The central core of the bridge forms a straight path for humans, while the suspended segments on its sides create a gently undulating slope used by animals. Offering an experience similar to that of walking on a side of a mountain, the gradually opens up toward expansive vistas of Seoul and the north. The structure, designed by team KILD –architects Ivane Ksnelashvili, Petras Išora, Dominykas Daunys and Ona Lozuraitytė– received first prize at the Yang Jagogae Eco-Bridge Design Competition. 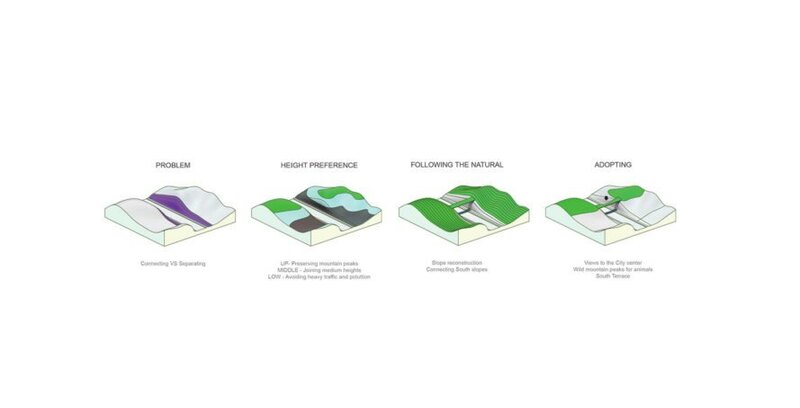 This proposal for a bridge recreates the natural connection between two mountain peaks in Korea. 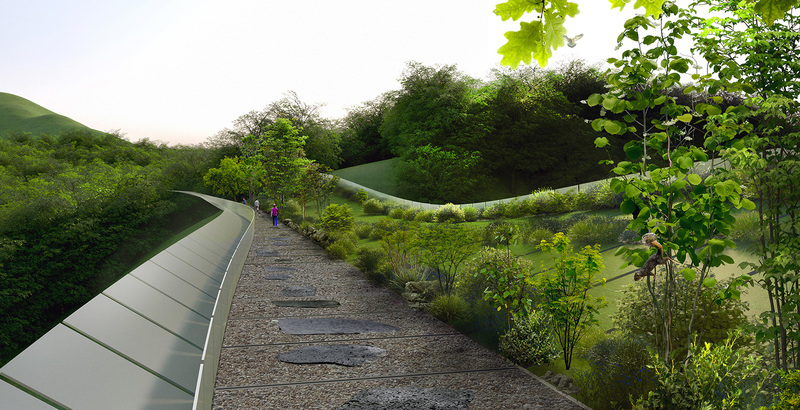 Blending seamlessly into its surroundings, the bridge provides safe passage for wild animals and references the traditional Korean garden pavilion. 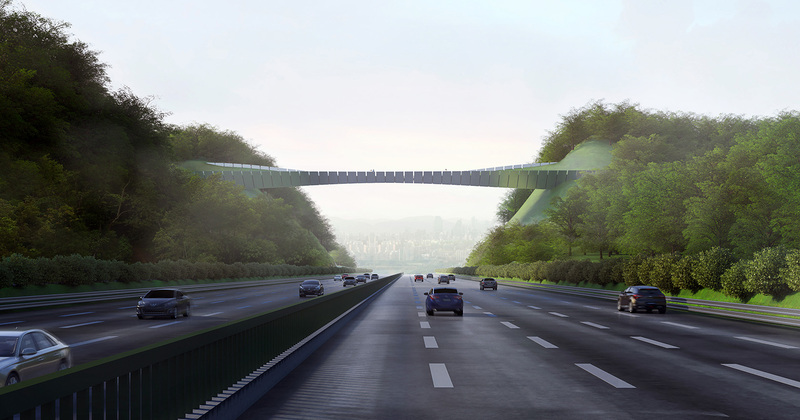 The structure, designed by team KILD –architects Ivane Ksnelashvili, Petras Išora and Ona Lozuraitytė– received first prize at the Yang Jagogae Eco-Bridge Design Competition. 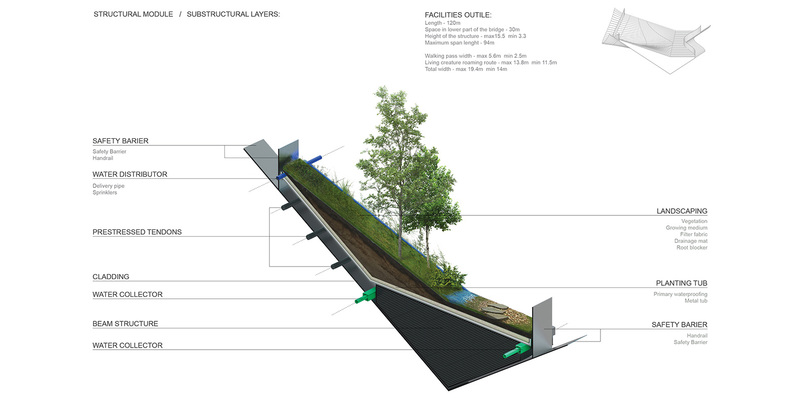 It is positioned at an optimal altitude tin order to separate traffic and wildlife. The architectural language of the structure reminds of the rhythmic nature of the traditional Korean garden pavilions which were used as a way of establishing a stronger connection with nature. The central core of the bridge forms a straight path for humans, while the suspended segments on its sides create a gently undulating slope used by animals. Offering an experience similar to that of walking on a side of a mountain, the gradually opens up toward expansive vistas of Seoul and the north.